All pages contain the site-wide and page elements covered in this tour; however, different page types are available to accommodate different types of content. The Standard Page (featured in the tour up until this point) will likely be the most used page on your site; multiple content options allow for a simple or complex page layout depending on need. 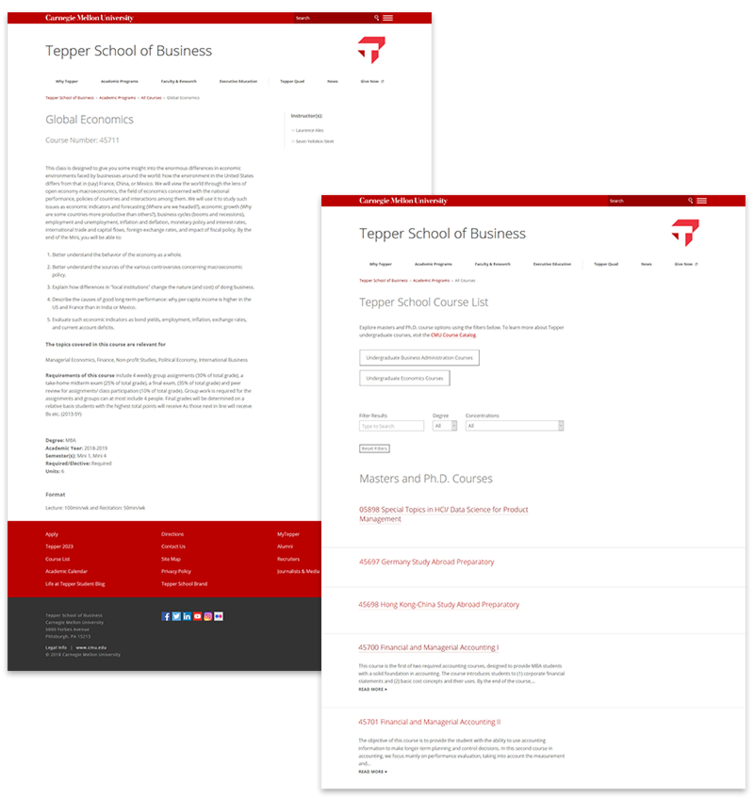 Special pages for Bio, News and Course contain all of the features of a Standard Page, plus added functionality for special content. 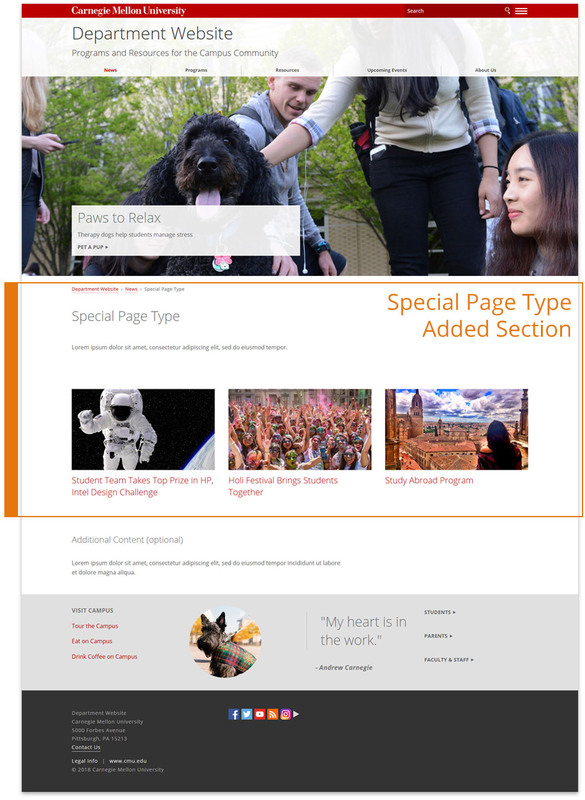 The layout of special page types includes an added section below the Hero. Provided below is an overview of the special page types. Special page types include an added section below the Hero; the standard Content section is moved further down and is optional. 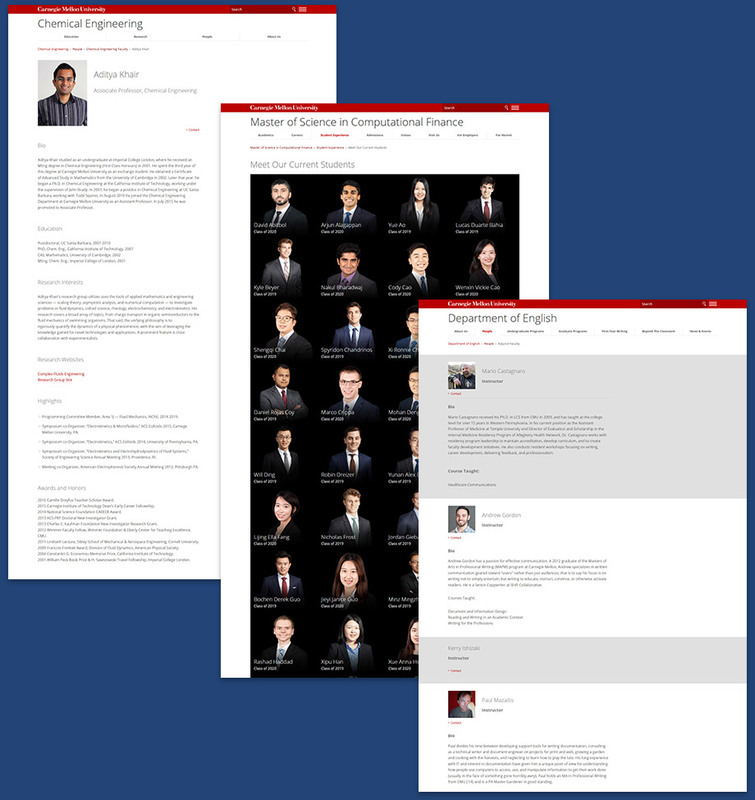 The set of Bio pages is used to feature a biography section on your site. Biographies are typically used for faculty, staff and students, and have the flexibility of including as much or as little information as needed. 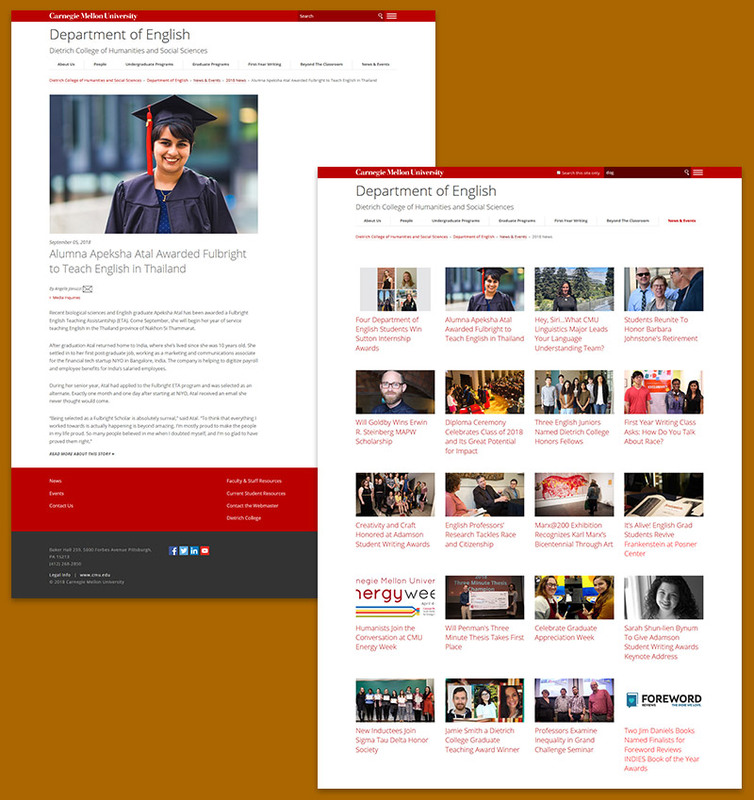 The set of News pages is used to feature a news section on your site. News is ideal for stories, press releases, events, announcements or promoting important topics. In addition, RSS feeds can be created to broadcast your news. The set of Course pages is used to feature a course section on your site.